How limited you ask? 463. “Just before the end of its period of manufacture” is what the press release says about the Mercedes G-Class W463 and this new three-in-one Limited Edition. 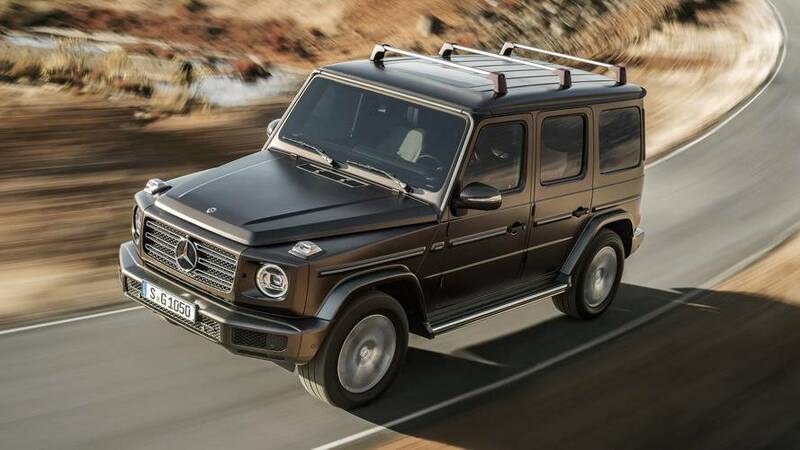 Available as a G350d, G350d Professional, and a beefier G500, the latest iteration of the iconic off-roader is limited to 463 units for each version as a nod to the model’s internal designation. Around since 1990, the W463 is getting ready for a well-deserved retirement, but not before this Limited Edition adding styling tweaks inside and out together with additional equipment. For example, the G350d can be visually distinguished by its elegant designo mocha black metallic paint whereas its Professional counterpart features a china blue shade. 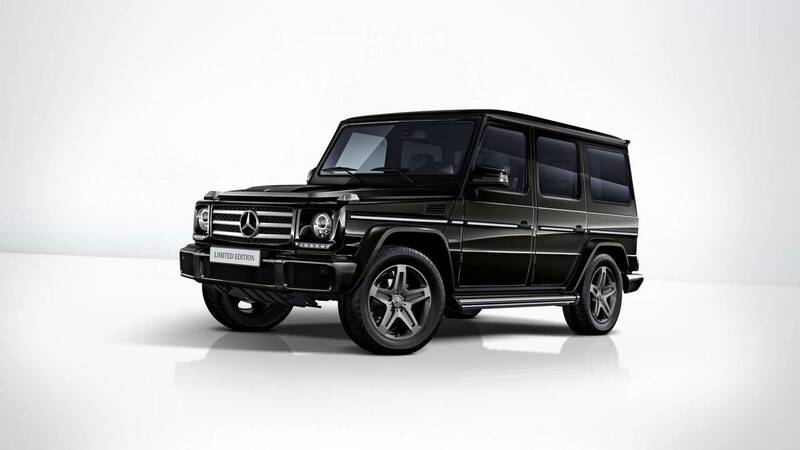 As for the V8-powered G500, this one has received a fancy designo platinum magno exterior. Depending on the one you go for, Mercedes will throw in some extras. The G350d gets the sports, chrome, and exterior stainless steel packages, as well as AMG alloy wheels, tinted windows, heated windscreen, and an electric sunroof. The more rugged Professional wants to lure you win with its Professional Offroad package, which among others includes a roof rack. It also boasts a Loading Protection package encompassing protective grilles on the headlights, as well as a rear ladder and a wooden load compartment floor. The G500 is also generously equipped as it has the Chrome and Sports packages together with the aforementioned Loading Protection package, which in this case includes a load compartment cover, trailer coupling with ball head, and a load protection net. To make it worth your while, Mercedes will include auxiliary heating, TV tuner, heated windscreen, and a Harman Kardon surround sound system. All three will share an embossed Schöckl badge on the center armrest as a reference to the Schöckl Mountain in the Alps located not far from where Magna Steyr is assembling the G-Class at its factory in Graz. 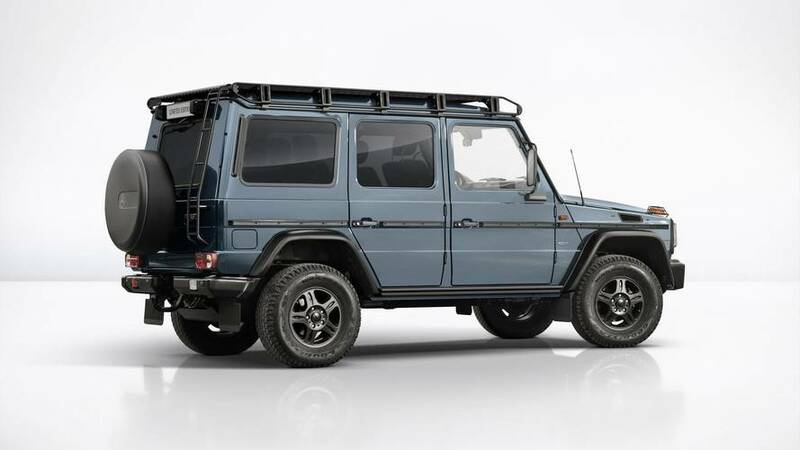 In addition, the three G-Class models will feature a “Limited Edition” emblem on the A-pillar to further set them apart from the regular versions. As far as pricing is concerned, the most “affordable” of the bunch is the G350d Professional at €103,940 in Germany, followed by the G350d at €122,918, and the G500 that will set you back €140,164. The trio of G-Class Limited Edition models will reach dealerships in January 2018. The next-gen W464 is slated to arrive later next year. Stylish aesthete, robust off-roader or extrovert SUV – the new Limited Edition models of the G‑Class exemplify how versatile the all-terrain icon still is just before the end of its period of manufacture. A special feature is the embossed emblem of a test scene "Schöckl proved since 1979" on the centre armrest. Comprehensively equipped both inside and outside, the special models are each limited to 463 units in line with the internal model series code. The Limited Edition is available as the G 350 d and G 350 d Professional (combined fuel consumption: 9.9 l/100 km; combined CO2 emissions: 261 g/km) and also as the G 500 (combined fuel consumption: 12.3 l/100 km; combined CO2 emissions: 289 g/km). The exclusive special models are now available for ordering and will reach the showrooms in January 2018. At 1445 metres, the Schöckl is far from being the highest peak in the Alps. And yet the local mountain of Graz is both famous and infamous, especially among off-road fans: for many years, not far from where the G‑Class is produced, Mercedes-Benz has used an extremely challenging test track on the mountain. This is commemorated by the embossed Schöckl badge on the centre armrest of the G-Class Limited Edition - a special kind of Alpine accolade. The emblem is bordered by the lettering "Schöckl proved since 1979" and "Limited Edition 1 of 463". Another feature shared by the three special models is the "Limited Edition" inscription as an emblem on the body on the A-pillar. G 350 d and G 500 also bear the same inscription in illuminated form in the door sill. There are key differences between the three models in terms of positioning and equipment specification. TheG 350 d Limited Edition is the aesthete among the brothers. Its paint finish is in designo mocha black metallic. A particular eye-catcher is the outer protective strip with an exclusive trim insert with a brushed aluminium look. The standard specification includes the Sports package with Exterior Stainless Steel package and 48.3 cm (19-inch) 5-spoke AMG light-alloy wheels in titanium grey, the Chrome package, heat-insulating dark-tinted glass for rear side windows and rear window, heated windscreen and electric sliding and tilting sunroof. The interior of the G 350 d Limited Edition indulges its passengers with upholstery in saddle brown designo nappa leather. The seats are in this single colour, while the dashboard and AMG Performance steering wheel feature a two-colour scheme in saddle brown/black. Matching this is contrasting topstitching in light brown. The standard specification also includes black designo piano lacquer trim, Exclusive package, Loading Protection package, leather-covered grab handle on the roof liner and Harman Kardon® Logic 7® surround sound system. The intelligent assistance systems, likewise installed ex-factory, include garage door opener, Active Distance Assist DISTRONIC, Blind Spot Assist and Parking package. The G 350 d Professional Limited Edition is positioned as a robust off-roader. The paint finish of this special model is in china blue. The external distinguishing features include a steel front bumper, protective grilles for the front turn signal lamps, front mud flaps and Professional Offroad package including roof rack. Exclusive to the interior of this special model is the fabric covering of the centre sections of the seats in the classic diamond design of previous G-models. The standard specification includes heated seats for driver and front passenger, radio with Bluetooth and navigation, heated windscreen, Loading Protection package4 and auxiliary heater including remote control. The role of the extrovert is embodied by the G 500 Limited Edition. Its paint finish in designo platinum magno contrasts with black add-on parts such as the trim insert in the outer protective strip. Painted in magno black are three louvres of the radiator grille and the spare wheel cover. In addition to Chrome package2 and Sports package, the standard equipment specification also includes heat-insulating dark-tinted glass for rear side windows and rear window, Harman Kardon® Logic 7® surround sound system, TV tuner, heated windscreen, Loading Protection package4 and auxiliary heater including remote control. Installed as standard are garage door opener, Active Distance Assist DISTRONIC, Blind Spot Assist and Parking package5. The special interior features include upholstery in black designo nappa leather with white topstitching, AMG Performance steering wheel in black DINAMICA microfibre/nappa leather, black designo piano lacquer trim, Chrome package2, Exclusive package3 and leather-covered grab handle on the roof liner. Non-binding recommended price for Germany including 19% VAT.